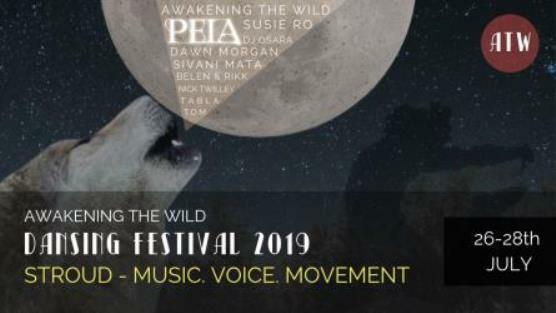 A three-day festival of awakening and reconnecting with our wild nature, through movement, voice, community and world class live music. With an exquisite line-up of musicians and facilitators from the world of conscious dance, voice and sacred/world/folk music, in what promises to be a magical weekend. An introduction to the Native American flute - get familiar with the instrument and learn about its origins, the way it works and its benefits. You will learn to play the scale and a few basic techniques. Nature has always been BELEN PRADO's great love and this led her to study Biology at university and to get involved in the environmental movement. Her other big interest is music, and when she discovered the Native American flute, she knew it was the instrument for her. Born in Madrid, travelling has become a big passion for her, and she studied Ecotourism and created a travel business, before eventually becoming a sound therapist. 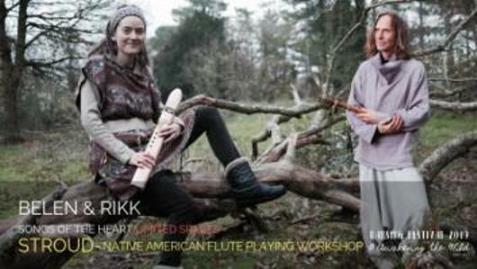 She spends much of her time giving flute workshops and sound therapy sessions, especially 'sound journeys'. RIKK SMITH was joined by music on his path through life at an early age with piano and drums, but it was in the 1990s when his journey with the Native American flute began, when he was living in California. Today he spends much of his time creating and selling these beautiful instruments as well as giving workshops on how to make and play them. ​This will be a deep dive in to the dance of being human: the dream of awakening to truly being here -now - in relationship with our own wild natures, and the wild and sensitive dance with the animal/angel/ human beings we find ourselves with in this transient community. 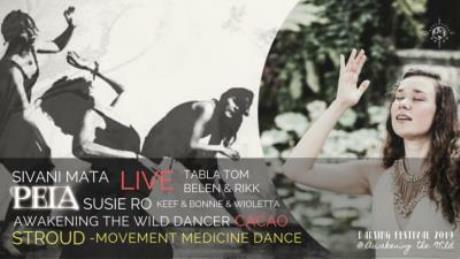 With the support of the beautiful heart expanding medicine CACAO we will ride the waves of the music, guided by the mysterious choreography of our sacred bodies, hearts, minds and breath: "Blessed we are to dance on this ground! So lets dance for our lives and the love of all life!" 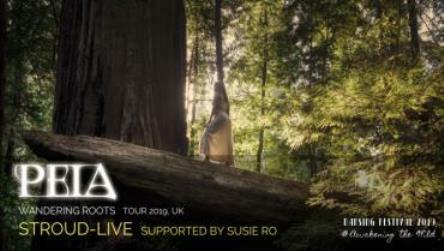 Featuring the wonderful dancing heart warrior DAWN MORGAN, and multi-instrumentalist extraordinaire NICK TWILLEY. 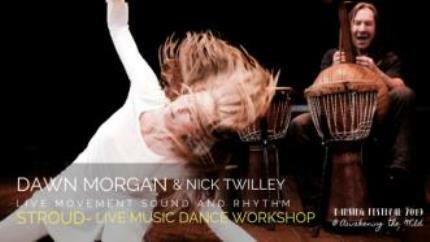 A warm invitation to people of all levels of experience and confidence, to explore qualities of listening and expression through movement, sound and rhythm. Live music to encourage and illuminate gestures, engaging our capacity to be present to life's unfolding ... Let's Dance! Dawn Morgan has been developing ‘Shapeshift Dance’ for 25 years. She trained to teach the 5 Rhythms with Gabrielle Roth in the 1990s, and continues to work with a variety of movement teachers and healers to develop and understand her offering. Influences include Prapto Suryodarmo, Continuum, Authentic Movement, Body Mind Centring, Yoga and Pre and Perinatal Psychology. Nicholas Twilley is a world percussionist and instrumentalist. He has worked alongside many accomplished teachers and performers including Robert Bly, Gabrielle Roth, Freddie Mercury, Robert Plant and H.H. Dali Lama. He is a core facilitator with Chloe Goodchild’s Naked Voice and co-founded the Eagles Wing Centre for Contemporary Shamanism. "Singing together is an advanced technology that brings us, almost instantaneously,out of our heads, and into our hearts", says Susie Ro Prater. Experience the incredible power of joining voices in harmony, and unify the 'Awakening the Wild' tribe through song, and give yourselves the gift of opening to pure presence through music and the joy of harmonic connection! All welcome, no experience needed, all of the gorgeous songs of the heart, earth, freedom, joy and presence, have been composed and collected by Susie Ro and are taught by ear. Don't be surprised if Susie gets the whole audience singing in harmony together! We are THRILLED to welcome the amazing PEIA LUZZI, who is on a European tour and making her first ever appearance in the UK. This promises to be a MAGNIFICENT HAPPENING. Born in the back hills of Connecticut, in 2002 Peia moved to Boston where she attended the New England Conservatory of Music and received extensive training in western classical voice and opera, vocal pedagogy, composition, and improvisation. Now based in southern Oregon, her music has taken her around the world and sparked collaborations with many world class artists including Coleman Barks, Michael Meade, Peter Kater, Ali Ghamsari and Shai Shriki. Peia and her collaborative ensemble weave rich vocal harmonies, strings, an eclectic array of percussion, and classical guitar, to give a mesmerizing performance offering authentic re-imaginings of traditional musical treasures, along with a stunning repertoire of her own songs, which speak of love’s trials, resiliency, and deep reverence for the earth. A powerful voice in the rising global community of people who are committed to restoring a balanced relationship with the Earth, Peia expresses her holistic vision and passion through her music, educational workshops and advocacy for indigenous and environmental rights groups. "LITTLE PEOPLE AND THEIR BIGS"
"Little People and their Bigs" is a movement and voice class for kids, primarily aimed at 3-7 year olds; but younger and older children and babies are also welcome. 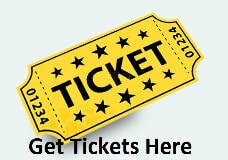 You will explore rhythm and movement games, find your animal voices and sing some magical songs together. Led by Keef, Wioletta, Bonnie and Janice, who are all parents and experienced dancers. All children must be accompanied by an adult and parents/guardians are expected to participate and maybe reconnect with their inner little person! 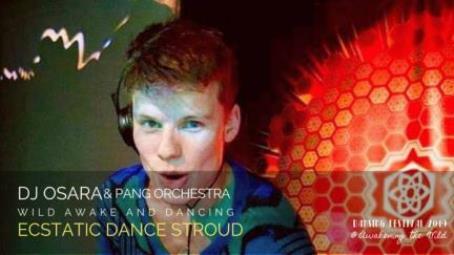 ​Featuring the uniquely skilled DJ OSARA, and the poetically percussive PANG ORCHESTRA. DJ Steve, aka OSARA, has been bathing in the conscious dance scene since 2014 and began producing events and DJing over a year ago. He has quickly built himself a name and has played for some of the most renowned conscious and wellness events in the UK including Buddhafield, Colourfest, Spirit Fest UK, Movement Medicine Gloucestershire and Pollen Tribe. Each one of us is gifted with a uniquely beautiful voice. Open yourselves to the transcendental sound within you guided by the wisdom and expertise of archival songstress Peia Luzzi. Through an embodied practice, rooted in the breath, you will learn: healthy body alignment for optimal sound production,how to ground and harness the power of the breath from your deep core, and how to tap into the natural resonance of your voice. 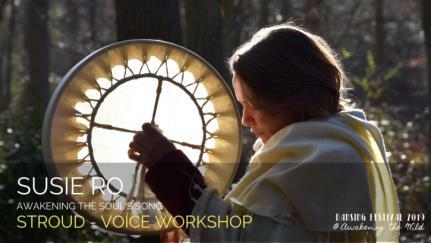 Working with tools from the ancient Indian alchemy of Raga, Peia will take you into a meditative practice known as “The Yoga of Sound.” You will gain deeper understanding of the physical inner-workings of the voice from 'Vocal Pedagogy', and learn to sing with grace, power, flexibility and ease. This workshop is beneficial for singers on all stages of the journey, from very beginner to advanced. 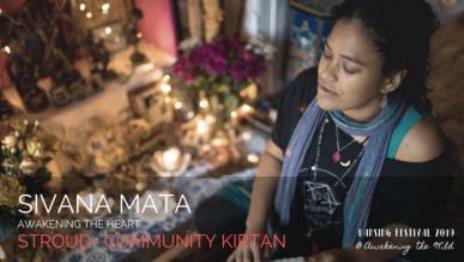 Sivani Mata is an artist who is blessed to be a student of Bhakti (the yoga of love and devotion) and began her journey with this practice through attending various Kirtan evenings in London and on her travels. She began to share Kirtan in her local London community in 2009 and has continued regularly ever since, both there and around the UK and Europe. Inspired by her Bhakti practice, Sivani Mata also shares responsive yoga practice honouring naturally arising internal rhythms, including yoga nidra, nourishing asana and dance predominantly for woman, and co-teaches on Uma Dinsmore-Tuli’s “Well Woman Yoga Therapy Teacher Training”. She is also currently working on an exploration for ancient Goddess traditions from around the world through drawing, and is writing a book on this theme called “Faces of the Feminine”. 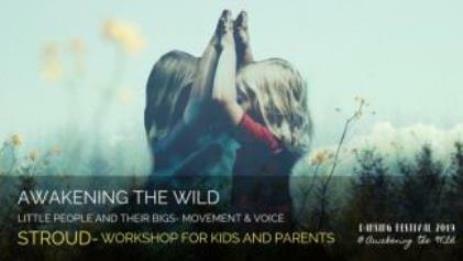 AWAKENING THE WILD was founded by Keef Wesolowski-Miles and Wioletta Wesolowska-Miles. They are passionate about creating collaborative community gatherings and holding sacred spaces for healing, transformation and celebration for individuals and groups. They recognise the need in ourselves as 21st century human beings for connection, movement, touch, space to breathe, places to create together, to heal together, to sing and dance and laugh together, to sit around the sacred fire, to reconnect to nature and our own true natures and to tell good stories, life affirming stories. They believe in the genius of humans to grow, adapt, heal and create beauty. They believe in embracing the inner child and honouring the children, family and future generations. They believe in honouring our elders, ancestors and All Our Relations. They believe in soul gardening - sowing dream seeds, rooting the body, flowering the heart, cultivating the mind. They believe in environmental sustainability and replenishment, social justice and spiritual freedom. This is their inspiration, their invocation and invitation: may we learn to remember, together, that our true nature is NATURE, we are elemental beings and we are all related. This movement is medicine. This is LOVE in ACTION. This is poetic presence. This is Awakening the Wild.